We had received our instructions in advance. 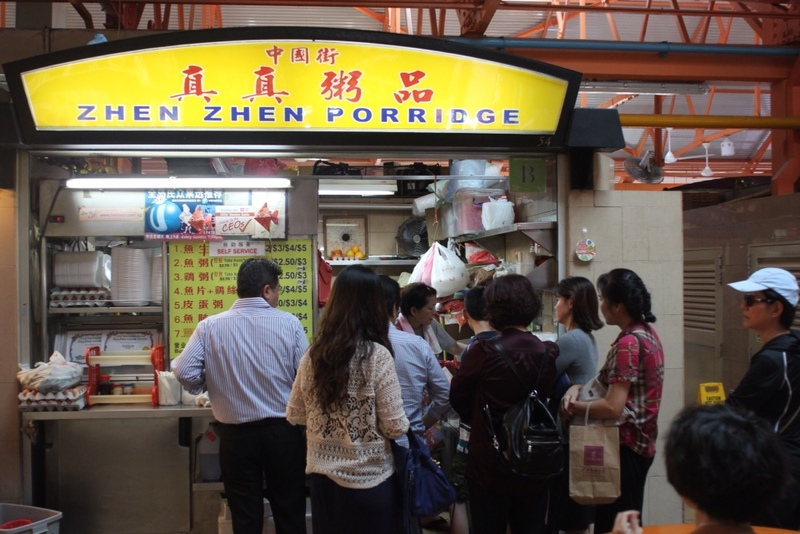 Breakfast is at the Zhen Zhen porridge stall. 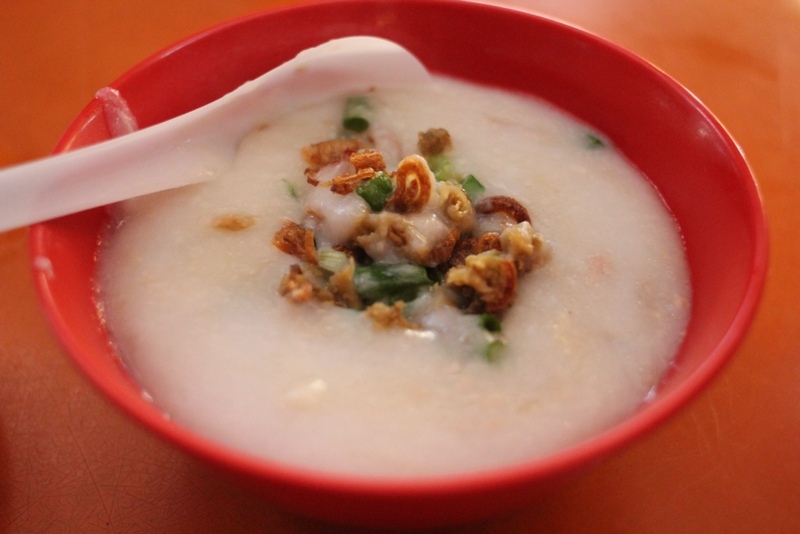 And don't call it congee because in Singapore, it is always porridge. We dutifully joined the longish line and used our time to consider our approach to a menu that was entirely written in Chinese. I can read a teeny tiny bit of Chinese – enough to tell you that most of the options included fish, but two had Something Else. Ok, not massively helpful, I admit. More helpful was a close attention to what those ahead of us were taking away with them. Most people had some kind of salad to accompany their porridge, which I realised was a raw fish salad I had read about. When I got to the front, the woman running the place helpfully switched from Chinese to English and told me I could have fish or chicken. I love chicken congee, so went for that, with a side of raw fish salad because why would you not? The porridge actually looked much nicer than this when it arrived. We shared a big portion and scooped it into smaller bowls – but hungry as we were, we forgot to photograph it before we shared it out. Suffice to say it was topped with spring onions, fried shallots and pork floss, which added an addicting crunch and salty little taste nuggets into the mild rice porridge. Inside were substantial hunks of chicken, and the porridge itself was creamy and pillowy. After all the rich food, we needed something simple and easy on the stomach. 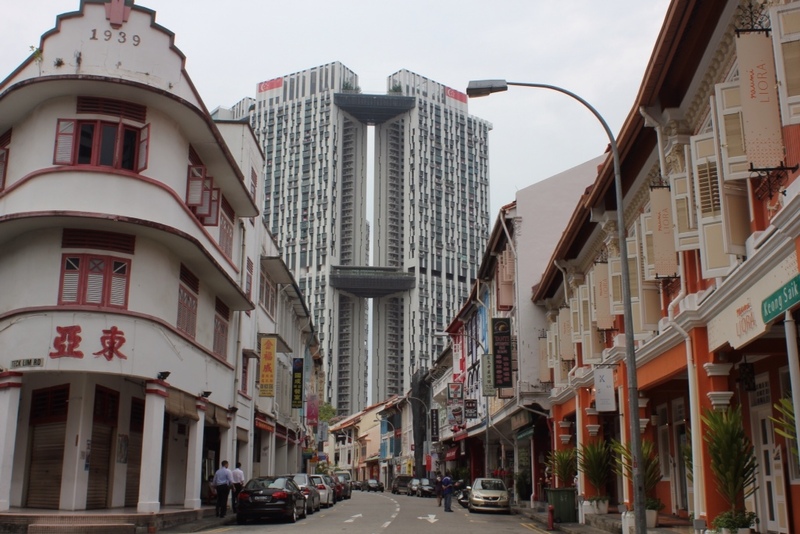 But you can't keep things that simple in Singapore. Soothing is one thing, but wouldn't it be nice with a bit of bite? 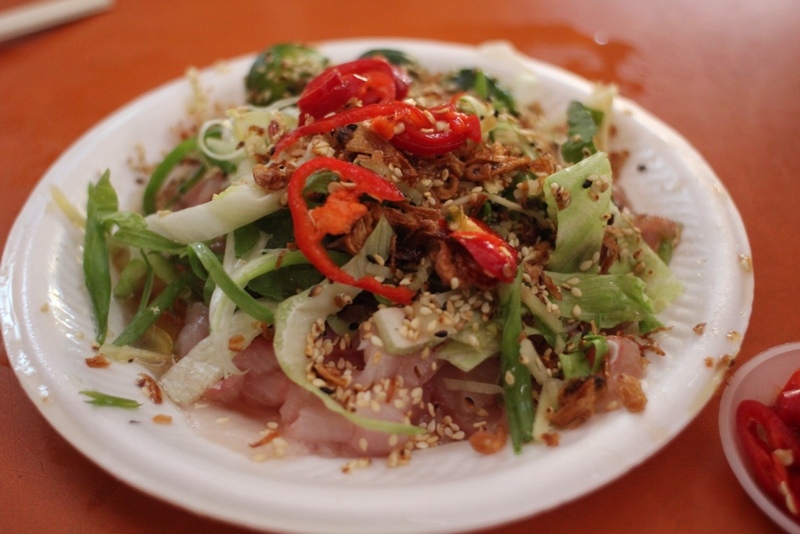 The raw fish salad kept things interesting, with a bed of ultra-fresh fish (no idea what kind, I'm afraid), smothered in lettuce, spring onion, substantial matchsticks of ginger, sesame seeds and fried shallots. On the side are sweet calamansi limes and there's a help-yourself pile of sliced red chilies on hand. I am not known as a raw fish fan, but mostly I'm not a boring sushi fan. Raw fish with this tower of goodness? Yes, please. Some German tourists asked me what I was queuing for but didn't seem impressed by my answer. Their loss. Granted, we had insider information, but the lesson learned was always believe in the long queue. oh i love the raw fish! i always go for that!